Born 70 years ago on the port of Lorient in Brittany, the company that delivers to the four corners of the world its presses and hydraulic shears for the recycling of metals, household and industrial waste, blew Thursday, October 25 its 70 candles in his Caudan workshops. Nearly 200 guests including employees, customers and partners were invited in a friendly atmosphere to a cocktail dinner in the middle of the machines serving as a decor. The opportunity to come back on a beautiful human and industrial adventure. According to the company in 1948 an engineer from the arsenal of Lorient Emile Le Guelennec decided to develop almost in his living room a hydraulic guillotine shear to process scrap intended to produce the steel which would be used for the reconstruction of the post-war period. Copex was born. In the period that followed, several owners succeeded one another at the head of the company, which had to go through some storms, always holding good. 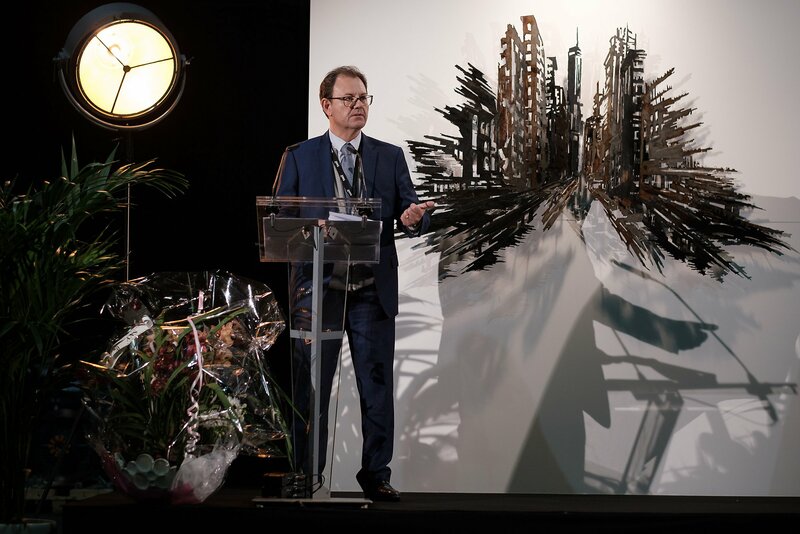 In 1998 the current President and CEO Frederic Malin bought the company with a partner and support from the French Investment Fund Ouest Croissance. Ten years later, in 2008, he decided to pursue the adventure alone in a rather difficult context of global economic and financial crisis that did not spare the company. But from hardships we learn. Integrating uncertainty into his strategic vision, the constructor managed to achieve a technological change and to pursue his diversification, allowing the return to success. The Design Office and its R & D unit have grown considerably and rejuvenated, now having a staff of 17 employees, Copex says. 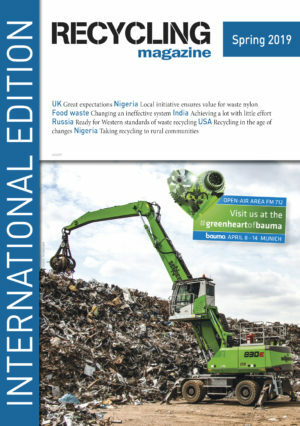 Thanks to a massive investment in development in a period of little prosperity, all the COPEX fabrications were renewed between 2011 and 2016, since the large Lidex side compression shear press working with a patented system, up to the smallest press, a baler for metal packaging called Packmetal. This orientation has allowed the company to stay in constant touch with the evolving needs of its customers. According to Copex the scrap market has always been cyclical and highly exposed to geopolitical hazards. Copex’s diversification strategy is therefore not new. In 1988, the company installed the first baling press for an application in the nuclear sector. Today the manufacturer has established itself as a privileged partner of the nuclear industry. In 1990 Copex developed a first range of baling presses, at that time for the treatment of MSW and ICW. In 2015, it was followed by a new generation of multi-material presses (PMMs), which compact almost all compressible materials, paving the way for new applications in other sectors of activity. Today Copex has installed machines to compact agricultural products and plant fibers into high density bales for export to consumer countries by optimizing transport costs. In 70 years, Copex has managed to build a reputation for its seriousness, robustness and innovation with its customers in France and abroad. The company generates 60 to 70% of its turnover internationally and now has references in some 40 countries. Changing business models for plastic recycling could lead to more profitable businesses, higher grade material on the market and make investment in recycling infrastructure more viable, suggests resource recovery specialist Axion. Next articleDirector, Steve Burton, Face of a Vibant Economy!